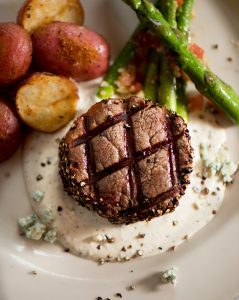 WE PERSONALLY SOURCE EVERY INGREDIENT IN THE FOOD WE SERVE. 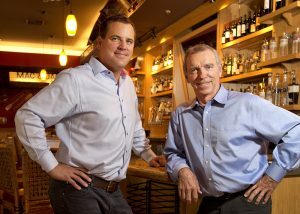 My partner and son, John Moscrip, and our executive chef, Wild Bill Ranniger, and I source every ingredient in the food we serve at Duke’s – yes, really – and it is local when possible, sustainable always, free of harmful chemicals always, and gluten free when possible. Several decades ago, I hopped on the Alaskan fishing boats catching our food, so I could secure a higher-quality product. I tagged along and what I saw appalled me. Fisherman brought in fish after beautiful fish, only to see them ruined. They did not bleed the fish right way and iced, and they tossed them around, which damages their delicate texture. I saw beautiful, perfect salmon rotting on the boats and further abused on the docks, processing plants, and in shipping. That’s when I started my quest to only buy from trusted suppliers who understood the proper way to care for fish. I didn’t know it back then, but the standards we set back then are now the industry standards for all quality commercial fishing. True story! There I was, just one guy who only wanted one thing: great-tasting fish, only to end up setting the standard for the industry. We did not stop at fish. We go to the produce fields, the chicken farms, the wineries, even to our exclusive Bourbon supplier, Woodford Reserve. 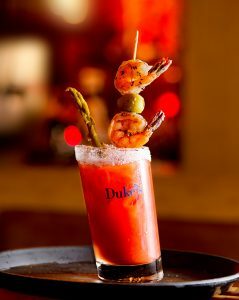 Everything served at Duke’s must meet our strict standards to be DukeWorthy or it doesn’t make it onto your plate – ever! Below are some of our favorites.